Hell wanted us to maximise awareness, talk and intrigue around the launch of New Zealand’s hottest pizza aptly named the ‘Angry Dragon,’ but most importantly motivate listeners and consumers to take on the challenge and attempt to Slay the Dragon! 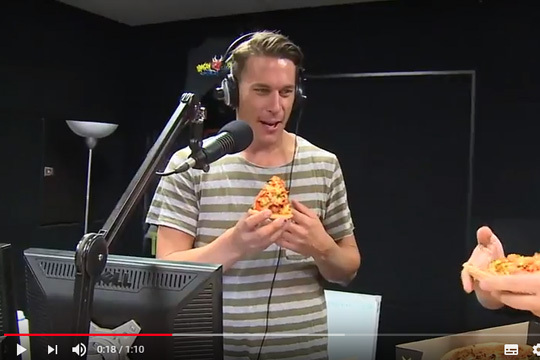 Each station created entertaining on-air content, talking up the legitimacy of the title ‘Australasia’s Hottest Pizza’ before taking the challenge themselves attempting to ‘Slay the Dragon’. All activity was filmed, edited and uploaded to each stations website to maximise the reach of activity well past the live event. In this video footage you see announcers go up against one another attempting to outdo the other in the Angry Dragon challenge. The Homepage Takeovers (on all four stations combined) resulted in just under 300,000 page impressions, over 10,000 clicks and a 3.52% click through rate (compared to the industry average of 0.2%) The videos across all websites had a total of 6,777 views. The social posts across network Facebook pages reached a total 98,984 people. Hell received great online interaction and presence.